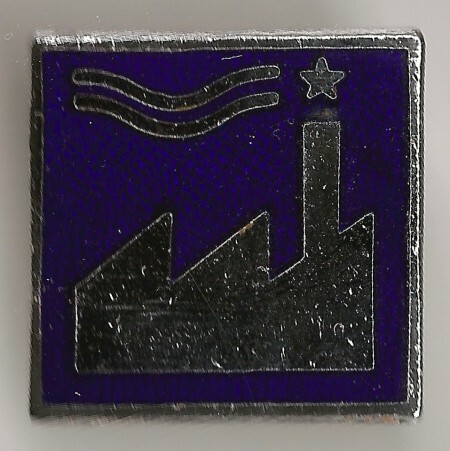 Factory US Logo badge designed by Christiane Mathan and issued in August 1984. 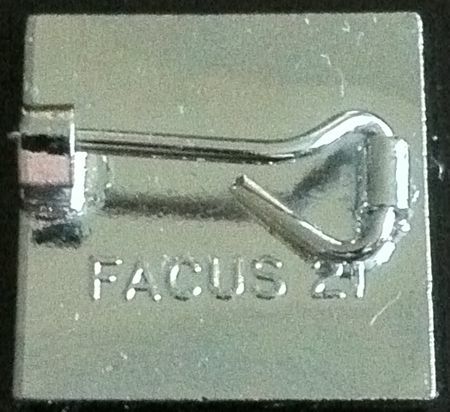 Issued with FAC 120. 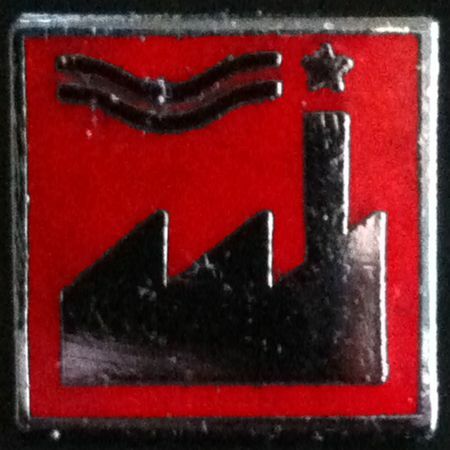 Two versions versions exist in red and blue, both with the 1984 Factory US logo. With many thanks to Alan and Tim.